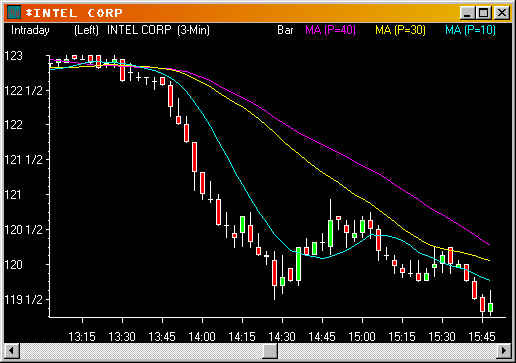 The candlestick chart above has 3 moving averages. A moving average is a series of points that form a line. Each point is calculated by averaging the prices within a selected time period and connecting with a line. Our exclusive training program will teach how to create moving averages, the various types (simple, exponential, etc. ), and how they are used to keep your trade in a winning trend, so you don't exit the trade too soon and "leave money on the table". Moving averages are also used as an indicator for entry points.